A classic mansion located in the affluent Holmby Hills neighborhood in Los Angeles has hit the market for $14 million -- and the hefty price tag comes with whole lot of Hollywood history. Known as the Eva Gabor Estate for the iconic socialite who once graced its halls, the 7,000-square-foot property has also been owned by the likes of Audrey Hepburn, Mia Farrow and David Niven. Perhaps it's no surprise, then, that the home boasts countless luxurious amenities. 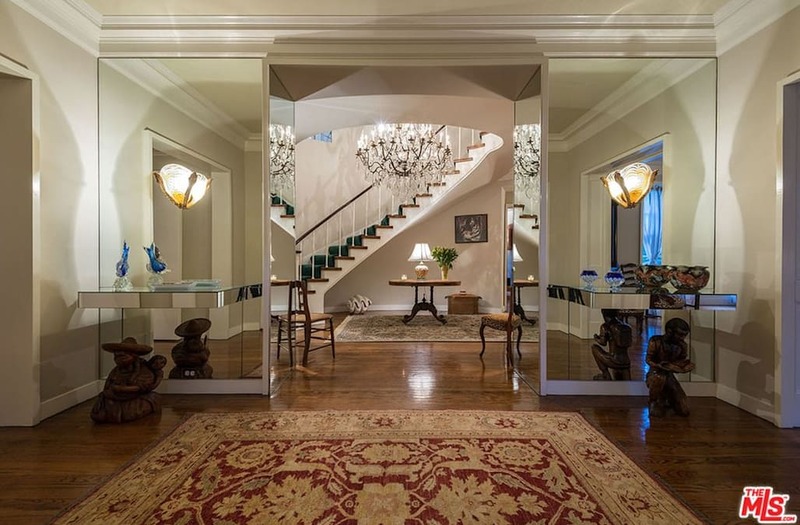 Upon entering the gated estate, guests are greeted by a grand foyer with a sweeping staircase and sizable chandelier. Traditional molding and built-in accents are featured throughout the home, and floor-to-ceiling windows frame the estate's magnificent grounds. The home's 1.1 acres include the main house, a 700-square-foot guest house and a 1,000-square-foot staff apartment. Outdoor amenities include a unique, assymetrical pool and a private tennis court.